Dry Mineral Fertilisers : Silica RICH - Granulated Diatomaceous Earth 2-5mm - 25kg Bag. silica levels in a, never previously available, granulated form. SILICA RICH™ diatomaceous earth is a NEW easy way of building soil silica levels in a, never previously available, granulated form. Abundant plant available Silica has many important benefits to plant health, ranging from increased photosynthesis, increased physical strength, increases in plants ability to absorb nutrients, reducing of pest and fungal attacks as well as a greater tolerance to environmental stress such as heat, drought, salinity &soil toxins. Many plants & trees including grasses, rice, avocados & cucumbers are considered silica accumulators and silica deficiencies through the growth cycle can reduce the benefits described above, reducing yield potential & increasing plant vulnerability. Reactive silica dissolves in water to form silicic acids which are the forms in which Si is taken up by plants. Si is transported from root to shoot via the xylem and has to remain in solution. The form in which Si is ultimately deposited is amorphous silica and, once deposited in cells, cell walls or external plant epidermis layers, it is immobile and not redistributed. Therefore, each time the plant has new growth, silica must be available for supply to the new plant tissue. For this reason Si must be in constant supply. Furthermore, each time a crop is harvested, silica is removed from the soil so it must be replaced to ensure a constant supply to the crop. Diatomaceous earth (DE) is a naturally occurring deposit of fossilised diatoms, silica rich ancient marine creatures, that absorb amorphous silica in their outer shell & exoskeletons. It is anaturally occurring, soft, sedimentary rock, formed from prehistoric times when Australia was covered by inland seas. As the seas dried, over millions of years, these natural DE deposits formed this sedimentary earth, which is easily crumbled into a fine white to off-white powder. It has a particle size ranging from less than 3 microns to more than 1 millimetre. DE has long been an excellent soil additive due to its ability to absorb water as well as be a rich source of plant available silica, but the crumbly inconsistent particle size & powder has made it difficult to store, manage and apply in a consistent manner. Australian made Plant ofHealth®, SILICA RICH™ DE is a granulated form of diatomaceous earth that has been specially formed into 2 - 5 mm granules & 0.5 – 2mm prill, making handling and applying much easier and consistent. Furthermore the unique granulating process allows for the DE to disperse readily when contacted with soil moisture. Exceptionally high levels of Plant Available Silicon– this is bio-available Silica form that can be readily taken up by plants. High Cation Exchange Capacity (CEC). 2-5 mm agricultural grade granules which are ideal for blending with N:P:K fertilisers. 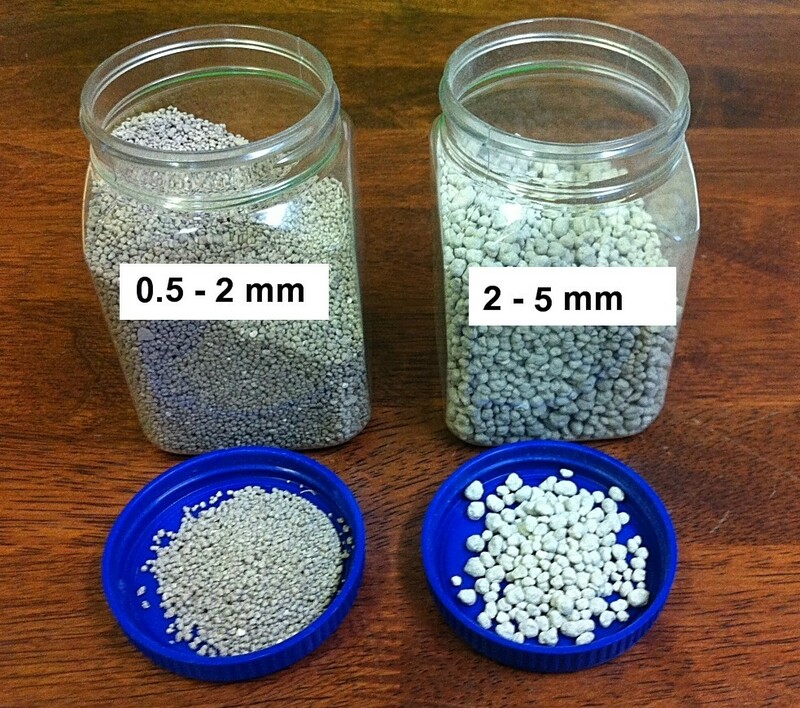 The 0.5 – 2mm size prill is excellent for golf courses & bowling greens. ​Granules which disperse readily when in contact with soil moisture giving an even Si application through soil profile. Suitable for Organic registered growers. Calcium (Ca) 2.1% brilliant… naturally!